If you have been pulled over and given a traffic ticket or have been arrested for a criminal offense in Fanwood, we are here to help! At LS&P Lawyers our criminal defense attorneys have years of experience representing people who have been charged with disorderly conduct, possession of marijuana, possession of drug paraphernalia, harassment, speeding, reckless driving and DWI among many other offenses. In fact, we have an attorney who is certified in the tactics used by police when they make drunk driving arrests. Meet with one of our attorneys to discuss your case. We are happy to help. Call us at 908-709-0500. Why is my case in Fanwood Municipal Court? 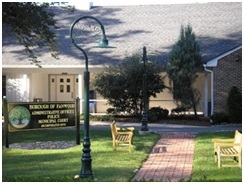 The Fanwood Municipal Court is presided over by Hon. Susan M. MacMullan. She graduated from Seton Hall School of Law and has over 25 years of experience. This Court handles individuals charged with disorderly persons offenses, traffic offenses and DWI. Don’t underestimate the severity of these charges though. The fines and fees can be steep. A conviction can also results in community service, a criminal record, even jail time. The criminal defense lawyers at LS&P Lawyers, 123 North Union Ave in Cranford, NJ 07016 and are available 24/7 for free consultation. If you have any questions regarding your criminal or traffic charge contact our office right away.